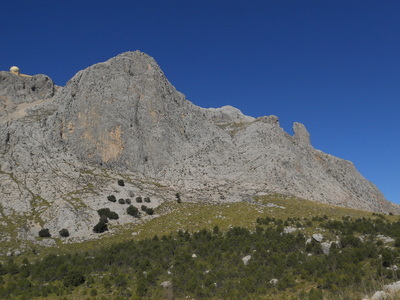 The bold camel hump of the puig de ses Vinyes ( Mountain of the Vines ) lies just to the west of Gorg Blau reservoir at the foot of its big brother Puig Major. 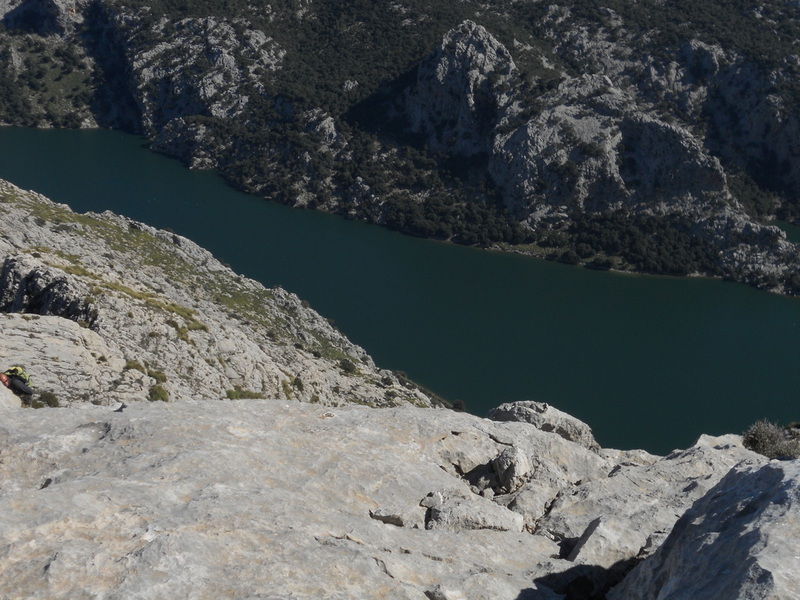 Great views can be had from the top onto the reservoirs as well as onto Puig Major impressive south face, the Pa da Figa cliffs and the Frare pinnacle. 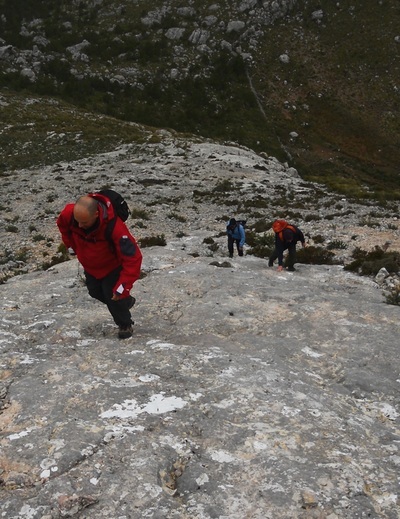 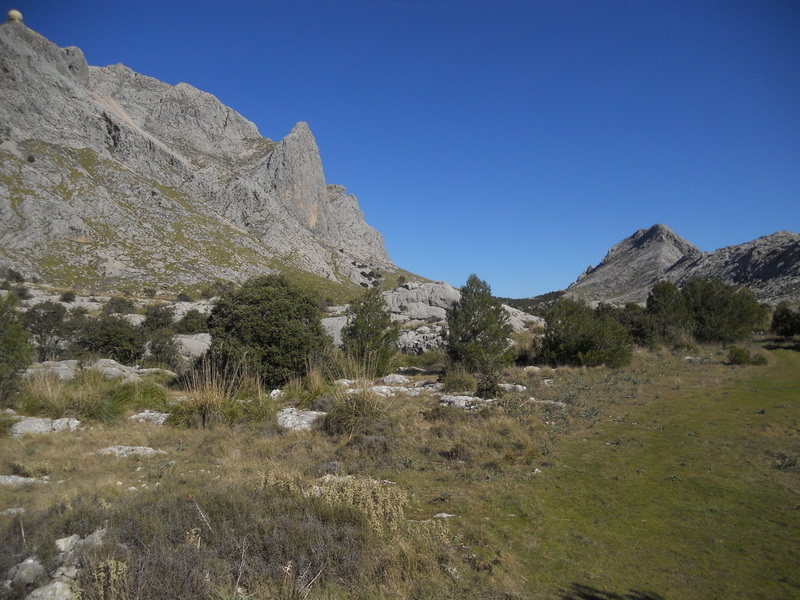 Despite its relatively low altitude at 1100 meter, the Puig offers a fairly challenging walk up and makes a good short outing in the Cuber area. 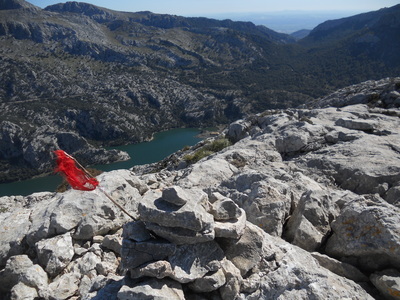 A much more challenging outing can be had by continuing along the Serra de Turixant ridge (along which you will see deep ivy covered chasms that give their name to the mountains) or heading straight down the south side of the mountain to Gorg Blau reservoir (very steep). Driving up, you will have to push on for about 500 meter beyond the army base to find authorised parking at the viewpoint just above Cuber reservoir. 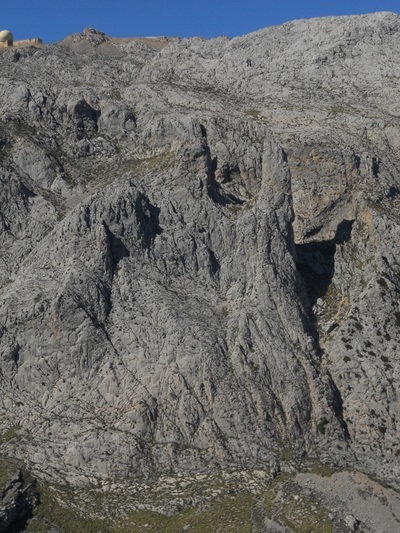 Parking by the army base itself is frowned upon. 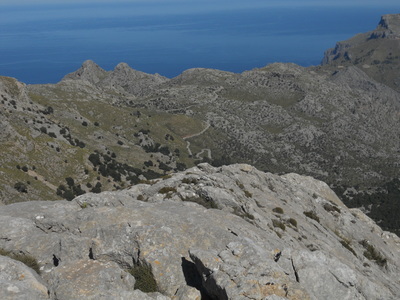 Walk to the start of the military road going up to the summit of Puig Major. At the junction with the main road, find a faint path on the right hand side that heads up a small gully into the forest. Follow this gully for 15/20 minutes, till you arrive to some small cliffs with a walled open cave. 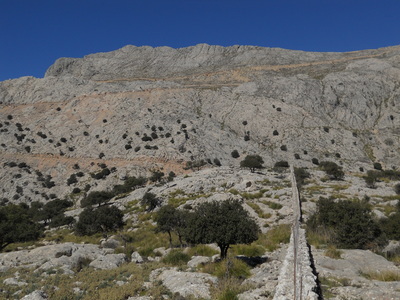 Exit the gully on the left and follow the cairns to a style over a fence surrounding a reforestation area. 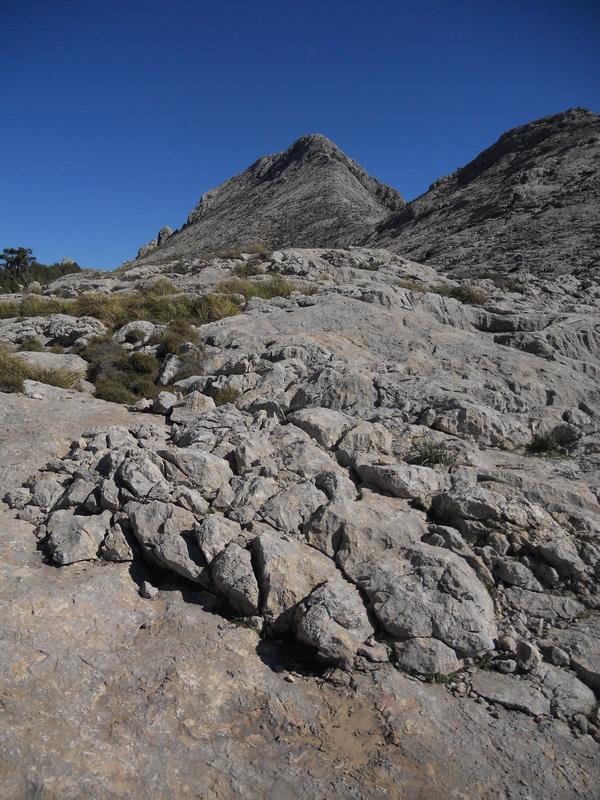 Go over the stile and follow the large dirt track in front of you towards the puig for maybe an other 20 minutes. 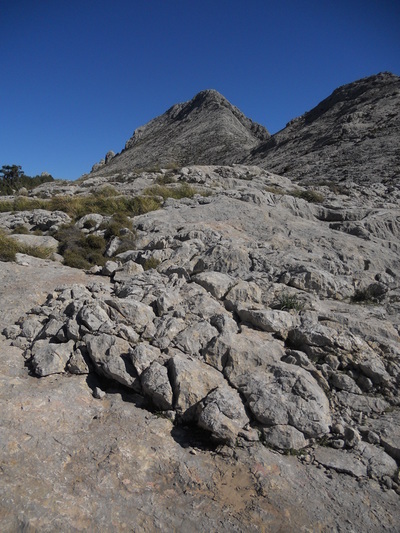 When the track turns left and down, follow a line of cairn to the right that will lead you to an other stile over the fence, where you leave the reforestation area and head for the base of the Puig de ses Vinyes. The way is cairned, progression is notably faster at the bottom of the small valley then on the ridge to your right. You will eventually reach yet an other fence at the foot of the steep slope leading to the summit, that you follow to the left till you reach yet one more stile. 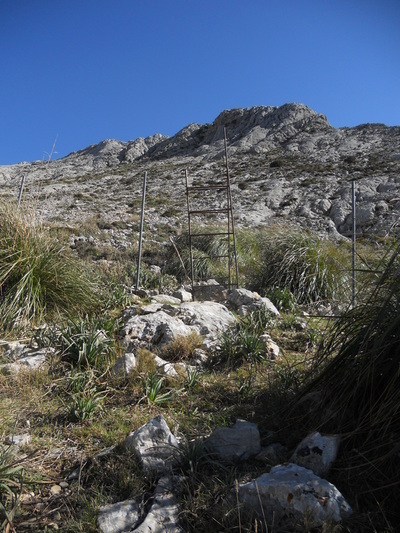 Cross over the fence and follow the cairns up; the easiest route to the summit is straight up, then to the left rejoining the ridge just to the north of the summit proper. There are some cairns showing the way. Enjoy the great views, and return the way you came. 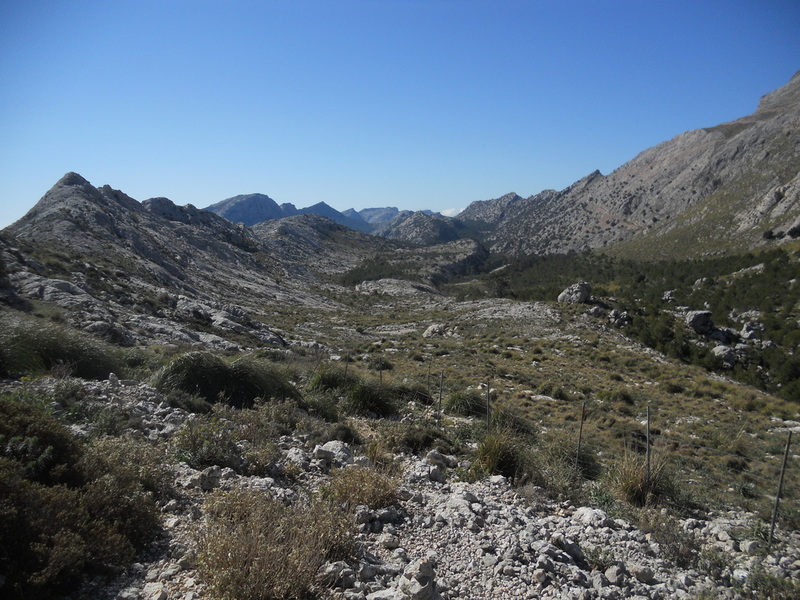 You can also take a left at the foot of the mountain and rejoin the dirt track to Truixant de Dalt farmstead and the main road at the level of the Sa Calobra junction. 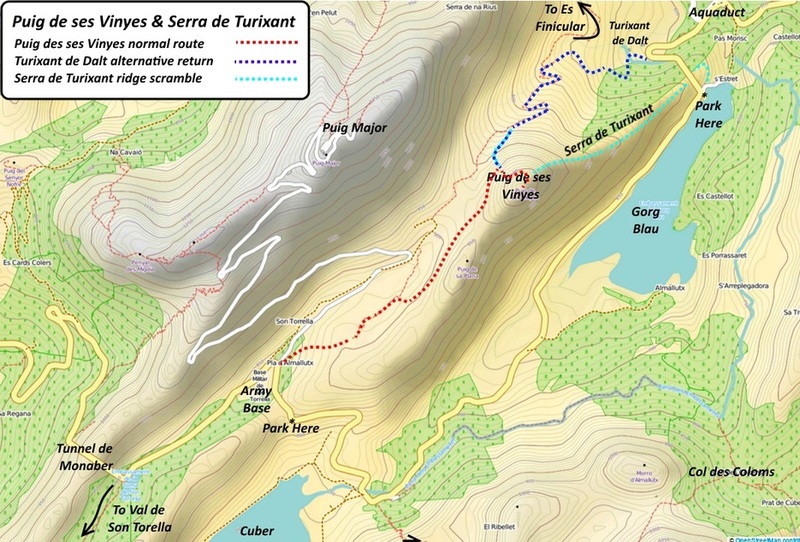 Serra de Turixant variant: this is a far more difficult walk/scramble on the often razor sharp ridge of the serra de Truixant, There is no path and the way is only sparsely marked. Reaching the main road at the northern end of the serra will take over two hours, with some difficult passages. 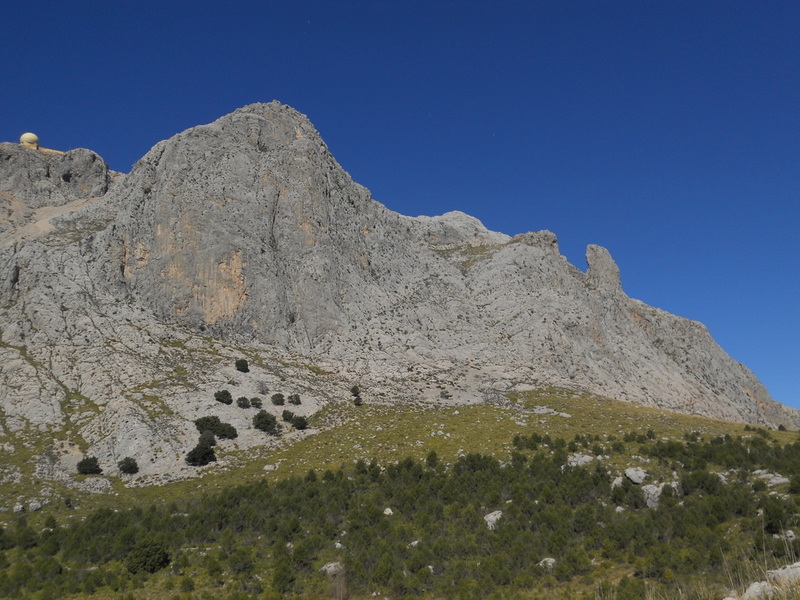 The views and the narrow ridge sections along the way are impressive The Gorg Blau side of the ridge is generally easier to follow then the Puig Major side. 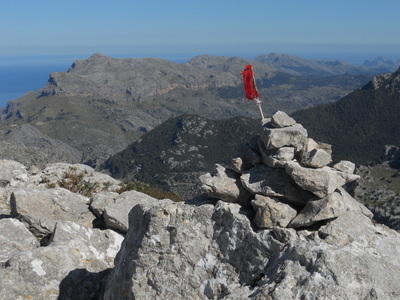 Heading this way, the Sa Calobra to Pollensa bus service 355 is an option, passing around 15:15 at the Sa Calobra/ Ma10 junction on its way towards Lluc. 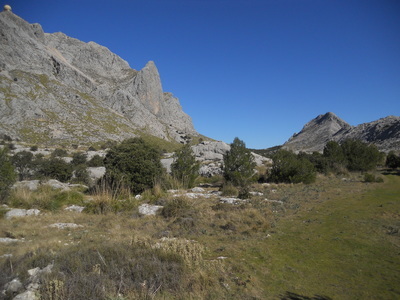 Those who have returned to the army base and do not want to wait for the evening bus could easily walk to the entrance of the tunnel de Monaber and follow the track straight ahead along the coma de son Torellas to the Portal de sa Costa, about an hour away. 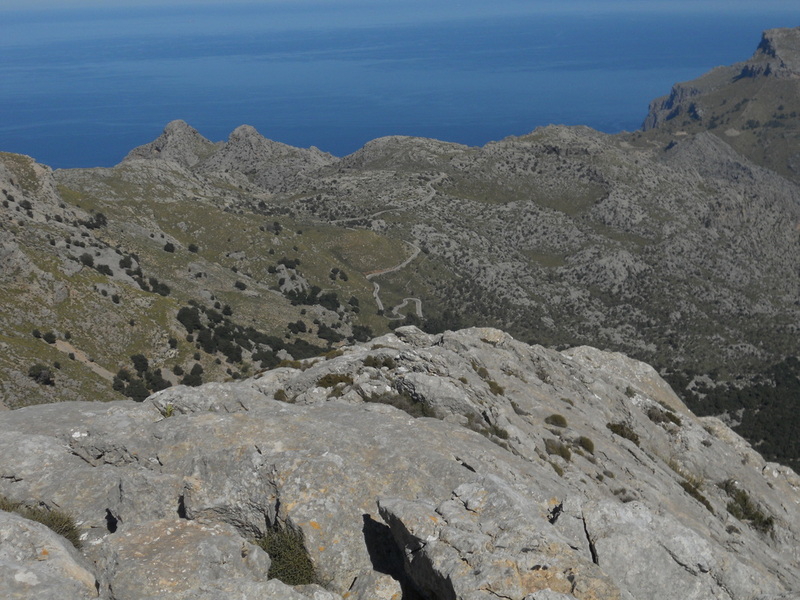 The walk down from the portal to Biniaraix takes about 90 minutes, with Soller a further 30 minutes away.